When funding agencies and policy organizations consider the role of modeling and simulation in modern biology, the question is often posed, what has been accomplished ? This book will be organized around a symposium on the 20 year history of the CNS meetings, to be held as part of CNS 2010 in San Antonio Texas in July 2010. 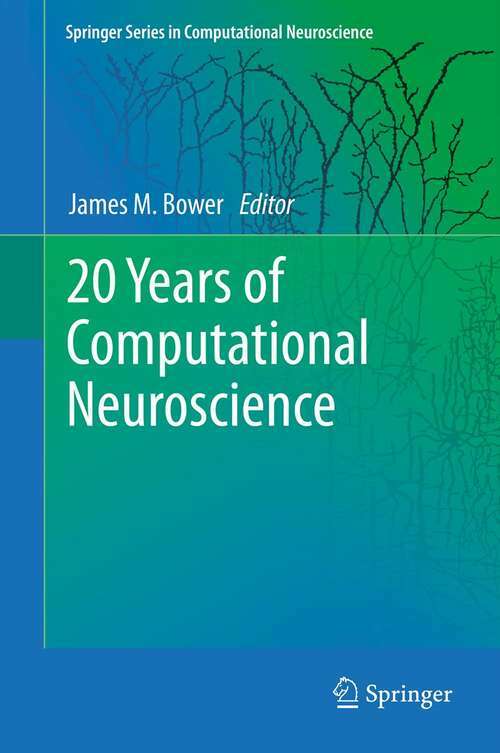 The book, like the symposium is intended to summarize progress made in Computational Neuroscience over the last 20 years while also considering current challenges in the field. As described in the table of contents, the chapter's authors have been selected to provide wide coverage of the applications of computational techniques to a broad range of questions and model systems in neuroscience. The proposed book will include several features that establish the history of the field. For each article, its author will select an article originally appearing in a CNS conference proceedings from 15 - 20 years ago. These short (less than 6 page) articles will provide illustrations of the state of the field 20 years ago. The new articles will describe what has been learned about the subject in the following 20 years, and pose specific challenges for the next 20 years. The second historical mechanism will be the reproduction of the first 12 years of posters from the CNS meeting. These posters in and of themselves have become famous in the field (they hang in the halls of the NIH in Bethesda Maryland) and were constructed as allegories for the state and development of computational neuroscience. The posters were designed by the book's editor, who will, for the first time, provide a written description of each poster.